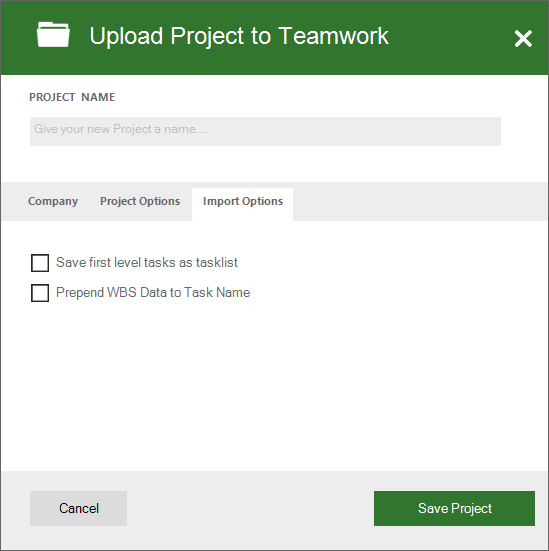 Within Teamwork Projects, you can import and export projects using the Microsoft Project add-in. Note: The Microsoft Project add-in is available on the Premium plan and higher. 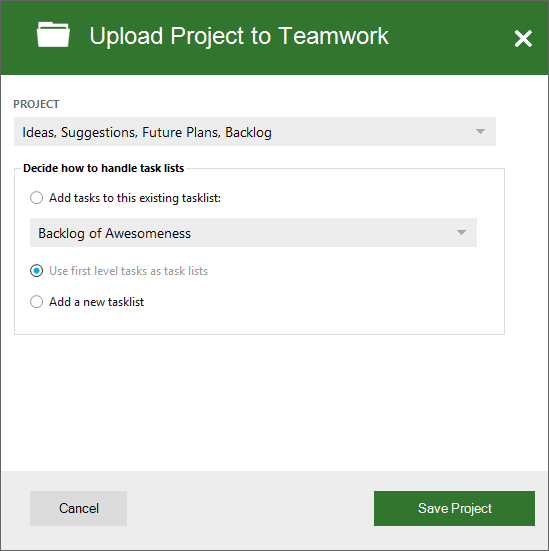 In Microsoft Project, click Open Project in the Teamwork ribbon and chose your project from the dialog. Wait for the process to complete and you will find all your tasks in MS Project. When you click Upload Project, you are asked whether you want to update an existing project or create a new one. If you want to create a new project you need to make a few basic settings first. Give your Project a Name, chose start and end dates and the company the project is for. When you set all the options move on to the next step. If you chose to update an existing project, you do not need to set any options for the project itself. When assigning resources to tasks we need to check if your resources already exist in Teamwork Projects. Add the Email and press check. 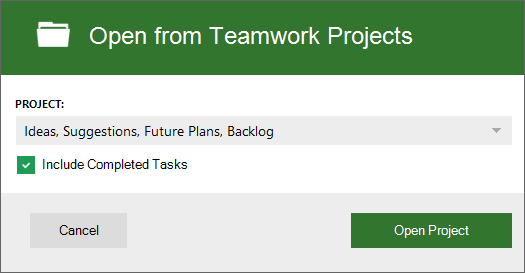 Tasks assigned to ignored resources are added without any assignments. Once you have checked your resources, you can proceed to the next step. 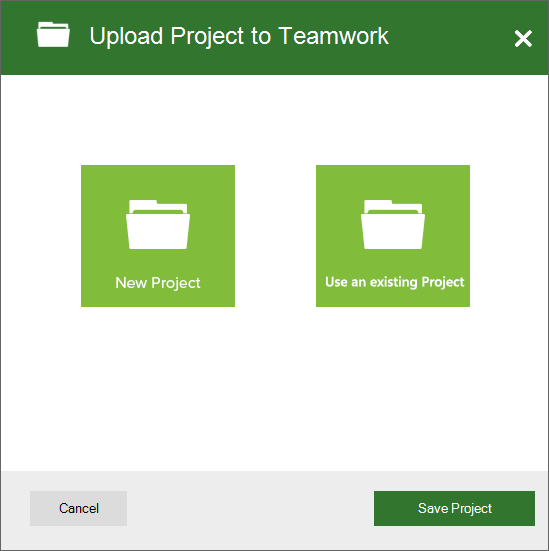 After your project is Imported, please save your MS Project file as we need to save the references to Teamwork. Whenever you open your MS Project file after that you will find a new option in the Teamwork ribbon. 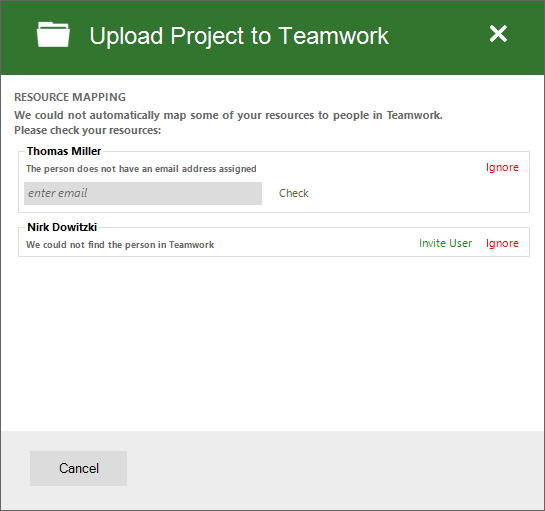 This option will open the assigned Teamwork Project in your browser. When importing or exporting data from MS Project to Teamwork, we need to assign columns in MS Project to values in Teamwork.